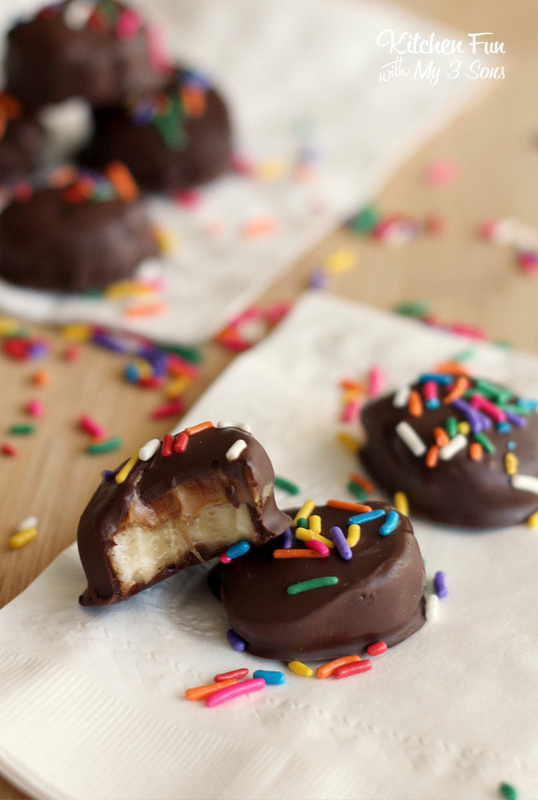 Your kids are going to love making these Peanut Butter Banana Bites with you. This is a snack everyone in the family enjoys! 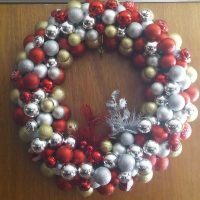 I think it’s so much fun to find recipes that my kids like to eat that they will help me make. Time in the kitchen with family is so much fun. Line a large cookie sheet with waxed paper. Peel the bananas and slice into ½ inch thick rounds. 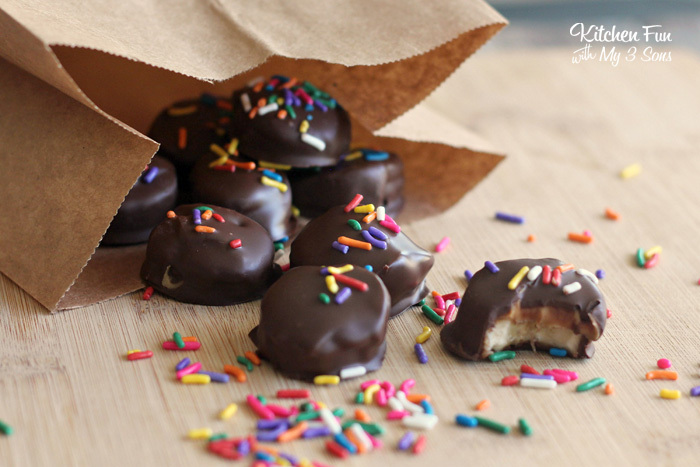 Lay the banana slices out in a single layer on the waxed paper lined cookie sheet. Top each banana slice with approximately 1 teaspoon of peanut butter. This does not need to be an exact measurement or perfect spread. In a medium microwave safe bowl, heat the chocolate chips in a microwave in 30 second increments, stirring every 30 seconds, until completely melted. Add the coconut oil and mix until well combined. 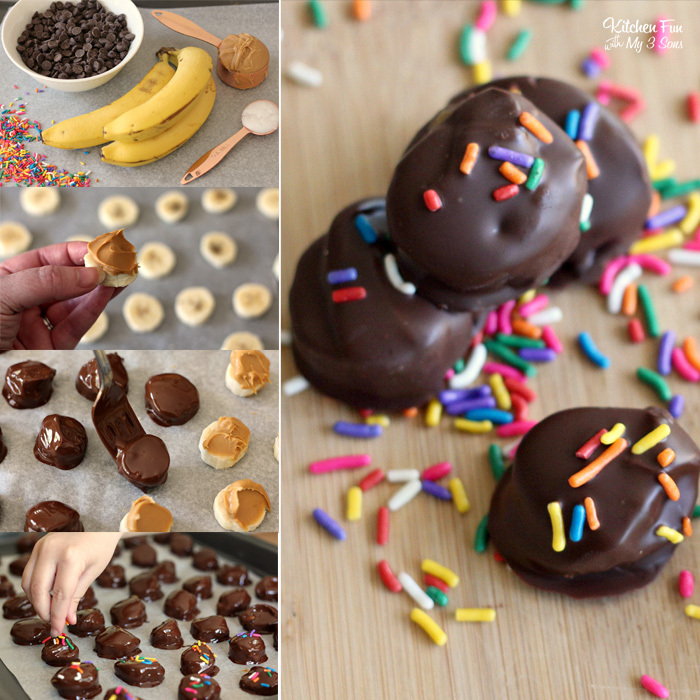 Use a fork to dip one peanut butter topped banana slice into the melted chocolate, peanut butter side up. Raise the slice out of the chocolate and then tap the fork on the side of the bowl to remove some of the extra chocolate. Slide the peanut butter banana bite off of the fork back onto the waxed paper. 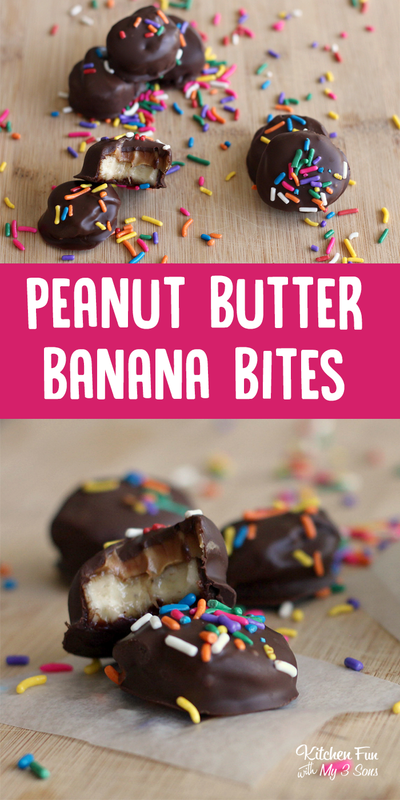 Repeat the process with each banana peanut butter bite. Top with colorful sprinkles if desired. Place the cookie sheet filled with the bites into the refrigerator to set for one hour before serving. 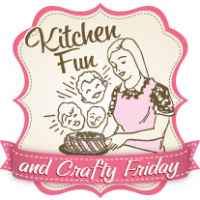 Kitchen Fun & Crafty Friday link party with a Target Gift Card & Popsicle Giveaway!